The Butterfly orchid is the name not only for common Phalaenopsis orchids. 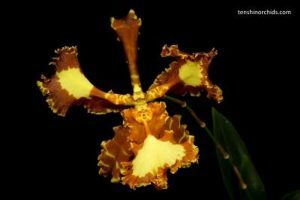 In fact, this is the name for literally alien orchids, which are called Psychopsis (which have no relation to psychosis or other disorders but means “soul” in Latin and it is actually named after goddess Psyche – the wife of Eros, who had had butterfly wings). These plants are remarkable botanical curiosities. Orchids learned to use insects for pollination by the means of evolution and natural selection – as other plants did, but orchids came even further. If other plants rely on insects’ feeding instincts – providing (or not) with nectar, orchids learned to use other insects’ instincts – including sexual instinct (as Ophrys orchids do) and defense instinct. Flowers of Psychopsis orchids look like an exact replica of a butterfly – the lip mimics wings, while column, sepals, and petals form some sort of a head resembling an insect. When a wind blows, flower behaves exactly as butterflies do, and bees identify this behavior like an act of aggression, so they start to attack the flower, transporting pollinia. 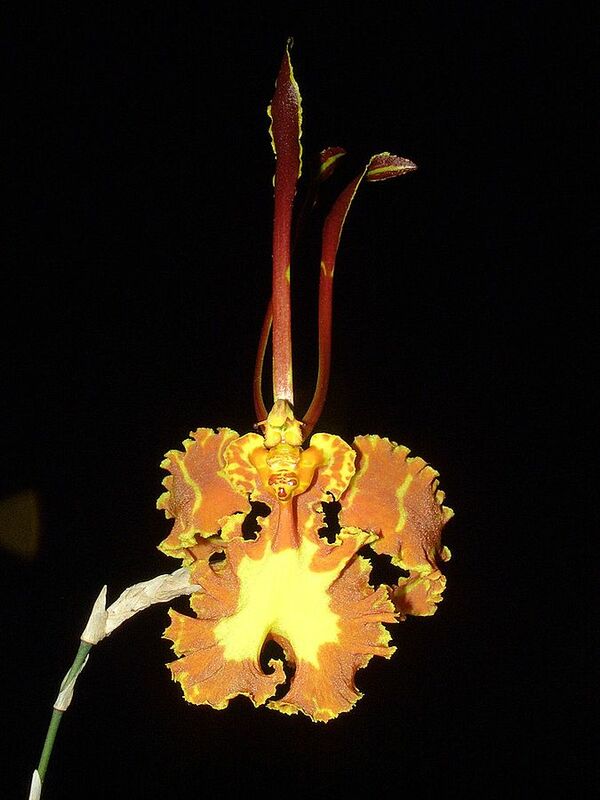 This marvelous orchid surprised European botanists so much, that the orchid mania began shortly after its discovery. 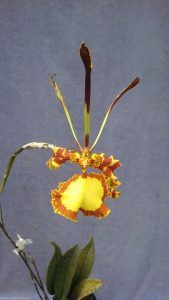 Psychopsis genus contains five currently recognized species, which were included to Oncidium genus. They are epiphytic sympodial orchids with pseudobulbs. Rhizome is short, pseudobulbs are small, flat and round shaped, bearing single leaf, plants are small to medium sized. Some species have red to purple dots on leaves and pseudobulbs, giving the species attractive appearance even while not blooming. Flowers born on single flowered, successively blooming erect inflorescences. The type species is Psychopsis papilio, which has yellow with orange 6 inch wide insectoid flowers. It has some remarkable clones, including famous Psychopsis Papilio ‘Mendenhall/ FCC/AOS clone, and some alba clones with solid yellow flowers. Psychopsis krameriana has 5 inch wide showy flowers, its inflorescences can bloom for years, with new flowers successively opening. Psychopsis sanderae is small-sized and has 4 inches wide bright yellow flowers. Psychopsis orchids are not very difficult in indoor cultivation. They prefer a bright filtered light with some shade (you can see, whether the plant has optimal light by its color – if it has a pallid yellowish appearance with sunburns it has too much light if it has dark green color and lack characteristic red and purple dots, it has too low light). It has hot to warm temperature requirements. You can grow it in different ways – either potted or mounted, but it is a good idea to grow them in hanging baskets in open potting mixture with good drainage. Water it regularly (more rarely in winter months or roots can rot), apply some fertilizers while a plant is actively growing, and it will bloom readily.